Amaç: Bu çalışmada, Nisan-Ekim 2017 tarihleri arasında Kahramanmaraş il merkezindeki farklı camilerin klima ve şadırvan musluklarına ait sürüntü örnekleri ile su örneklerinden Legionella türlerinin izolasyon ve identifikasyonu amaçlandı. Gereç ve Yöntemler: Bu amaçla, camilere ait klima ve şadırvanlardan 180 sürüntü ve 50 su örneği olmak üzere toplam 230 adet örnek alındı. Örnekler steriliteye dikkat edilerek hızla laboratuvara iletildi. Tüm örneklerin seçici bir besiyeri olan Buffered Charcoal Yeast Extract agarda kültürü yapıldıktan sonra, bu kültür ortamlarında üreyen Legionella spp. şüpheli bakteriler; katalaz ve oksidaz test gibi biyokimyasal ve latex aglutinasyon testi gibi serolojik yöntemlerle mikrobiyolojik identifikasyonu yapıldı. Bulgular: Şadırvan musluklarından alınan 130 musluk sürüntü örneğinin 6’sında Legionella cinsine ait bakteriler tanımlanırken, 50 su ve 50 klimaya ait sürüntü örneğinin hiçbirinde bakteri tespit edilememiştir. İzole edilen Legionella spp. kolonilerinin lateks aglütinasyon testi ile serolojik tiplendirilmesi sonucu, üç türün L. pneumophila serogrup 2-14 içerisinde yer aldığı diğer türlerden birinin L. pneumophila serogrup 1, ikisinin ise serogrup dışı Legionella spp. olduğu tespit edilmiştir. Sonuç: Legionella cinsi bakteriler aerosol şeklinde ve sularla insanlara bulaşarak, özellikle yaşlı ve solunum problemi olan bireylerde Pontiak ateşi ve Lejyoner hastalığı olarak bilinen ciddi solunum yolu enfeksiyonlarına neden olmaktadır. Camilerin klima ve şadırvanlarında periyodik temizlikler yapılarak özellikle yaşlı bireyler Legionella kaynaklı solunum yolu enfeksiyonlarından korunmalıdır. Aim: This study aims the isolation and identification of the Legionella species in the swab samples and water samples obtained from the air-conditioners and fountain taps of various mosques located in Kahramanmaraş city center between April-October 2017. Materials and Methods: For this purpose, a total of 230 samples have been obtained, including 180 swab samples and 50 water samples from air conditioners and fountains of mosques. These samples were delivered to the laboratory for analysis as quickly as possible after collection. All samples have been cultured in the selective agar named Buffered Charcoal Yeast Extract. Legionella spp. suspected bacteria were identified microbiologically with biochemical such as catalase and oxidase and serological methods such as latex agglutination test growing in these media. Results: While Legionella bacteria have been identified in 6 of the 130 swab samples obtained from fountain taps, no bacteria have been found in the 50 water samples and 50 air conditioner swab samples. According to the serological typing results of the isolated Legionella spp. colonies using latex agglutination test, it has been found out that three of the types have been included in L. pneumophila serogroup 2-14, one of the other types has been in L. pneumophila serogroup 1, and the remaining two have been non-serogroup Legionella spp. Conclusion: Legionella bacteria is transmitted to human from aerosol water and cause severe respiratory tract infections known as Pontiac fever and legionnaires diseases particularly in older individuals having respiratory problems. Periodical cleaning must be performed in the air conditioners and fountains of mosques for preventing especially the older individuals from Legionella-borne respiratory tract infections. 1. Fields BS, Benson RF, Besser RE. Legionella and Legionnaires’ disease: 25 years of investigation. Clin Mikrobiol Rev. 2002; 15(3): 506-26. 2. Yu VL. Legionella pneumophila (Legionnaires’ disease). In: Mandell GL, Bennett JE, Dolin R, editors. Principles and Practice of Infectious Diseases. 5th ed. US: Churchill Livingstone; 2000. p. 2420-435. 3. Edelstein PH. Legionella. In: Murray PR, editor. Pınar A, çeviri editörü. Klinik Mikrobiyoloji. Ankara: Atlas Kitapçılık; 2009. p. 830-49. 4. Verissimo A, Marrao G, Silva da FG, Costa da MS. Distribution of Legionella spp.in hydrothermal areas in continental Portugal and the island of Sao Miguel, Azores. Appl. Environ Microbiol. 1991; 57(10): 2920-7. 5. Filermans CB, Tyndall RL. Association of Legionella pneumophila with natural ecosystem. In: Barbaree JM, Breiman R, Dufour AP, editors. Legionella: Current status and emerging perspectives. Washington, DC: ASM; 1993. p. 280-5. 6. Lasheras A, Boulestreau H, Rogues AM, Ohayon-Courtes C, Labadie JC, Gachie JP. Influence of amoebae and physical and chemical characteristics of water on presence and proliferation of Legionella species in hospital water systems. Am J Infect Control. 2006; 34(8): 520-5. 7. Breiaman RF, Fields BS, Sanden GN, Wolmer L, Meier A, Spika JS. Association of Shower use with Legionnaires' Disease. JAMA. 1990; 263(21): 2922-6. 8. Kim BR, Anderson JE, Mueller SA, Gaines WA, Kendall AM. Literature review efficacy of various disinfectants against Legionella in water systems. Water Res. 2002; 36(18): 4433-44. 9. Winn WC, Allen SD, Janda WM, Koneman EW, Procop G, Schreckenberger PC, et al. Legionella. Koneman’s Color Atlas and Textbook of Diagnostic Microbiology. 6th ed. Philadelphia: Lippincott; 2006. 10. Pınarbaşlı M. Eskişehir’de Klinik Örneklerde ve Sularda Legionella spp. Araştırılması [Tıpta Uzmanlık Tezi]. Eskişehir: Eskişehir Osmangazi Üniversitesi Tıp Fakültesi Tıbbi Mikrobiyoloji Anabilim Dalı; 2011. 11. Abu Kwaik Y, Gao LY, Stone BJ, Venkataraman C, Harb OS. Invasion of protozoa by Legionella pneumophila and its role in bacterial ecology and pathogenesis. Appl Environ Microbiol. 1998; 64(9): 3127-33. 12. Surman-Lee S, Fields B, Hornei B. Ecology and environmental sources of Legionella. In: Bartram J, Chartier Y, Lee JV, Pond K, Surman-Lee S, editors. Legionella and the Prevention of Legionellosis. Geneva: WHO; 2007. p. 29-38. 13. Diederen BMW. Legionella spp. and Legionnaires’ disease. J Infection. 2008; 56(1): 10-2. 14. Memish ZA, Oxley C, Contant C, Garber GE. Plumbing system shock absorbers as a source of Legionella pneumophila. Am J Infect Control. 1992; 20(6): 305-9. 15. Doleans A, Aurell H, Reyrolle M, Lina G, Freney J, Verdenesch F, et al. Clinical and environmental distributions of Legionella strains in France are different. J Clin Microbiol. 2004; 42(1): 458-60. 16. Sevinç M. Gaziantep İl Merkezindeki Çeşitli Soğutma Sistemleri ve Su Sistemlerinde Legionella pneumophila Varlığının Araştırılması [Yüksek Lisans Tezi]. 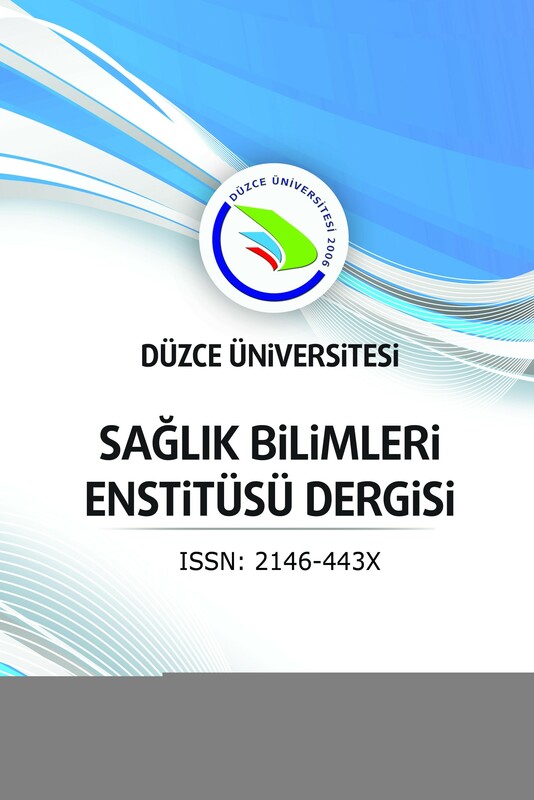 Gaziantep: Gaziantep Üniversitesi Fen Bilimleri Enstitüsü; 2013. 17. Akkaya Z, Özbal Y. Kayseri’deki Farklı Binaların Su Depolarında Legionella Araştırılması. Sağlık Bil Derg. 2011; 20(1): 9-17. 18. Köse EO, Öngüt G, Ögünç D, Vural T. Antalya ili otel su sistemlerinden alınan su örneklerinde Legionella pneumophila araştırılması. Turkish J Infect. 2004; 18(2): 143-7. 19. Uzel A, Uçar F, Hames-Kocabas E. Prevalence of Legionella pneumophila serogroup 1 in water distribution systems in İzmir province of Turkey. APMIS. 2005; 113(10): 664-9. 20. Miroğlu N, Gürpınar H, Topal S, Uygun B, Soslu H, Dindar Ü. İstanbul ili otel su sistemlerinin Legionella cinsi bakteriler yönünden araştırılması. Türk Mikrobiyol Cem Derg. 1999; 29(3-4): 138-40. 21. Tobin JO, Swann RA, Bartlett CL. Isolation of Legionella pneumophila from water systems: Methods and preliminary results. Br Med J. 1981; 282 (6263): 515-7. 22. Kurtz JB, Bartlett CLR, White RA, Newton UA, Jones NL. Legionella pneumophila in Cooling Water Systems. J Hyg Camb.1982; 88(3): 369-81. 23. Vickers RM, Yu VL, Hanna SS, Muraca P, Diven W, Carmen N, et al. Determinants of Legionella pneumophila Contamination of Water. Distribution Systems: 15-Hospital Prospective Study. Infect Control. 1987; 8(9): 357-63. 24. Alary M, Joly JR. Risk Factors for Contamination of Domestic Hot Water Systems by Legionellae. Appl Environ Microbiol. 1991; 57(8): 2360-7. 25. Borella P, Montagna MT, Romano-Spica V, Stampi S, Stancanelli G, Triassi M. Legionella infection risk from domestic hot water. Emerg Infect Dis. 2004; 10(3): 457-64. 26. Goutziana G, Mouchtouri VA, Karanika M, Kavagias A, Stathakis NE, Gourgoulianis K, et al. Legionella Species Colonization of Water Distribution Systems, Pools and Air Conditioning Systems in Cruise Ships and Ferries. BMC Public Health. 2008; 8(1): 390-7. 27. Napoli C, Fasano F, Iatta R, Barbuti G, Cuna,T, Montagna MT. Legionella spp. and Legionellosis in Southeastern Italy: Disease Epidemiology and Environmental Surveillance in Community and Health Care Facilities. BMC Public Health. 2010; 10(1): 660-70.